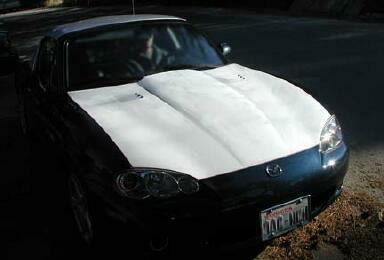 The SDD louvered cowl hood for the M2 Miatas are now available. 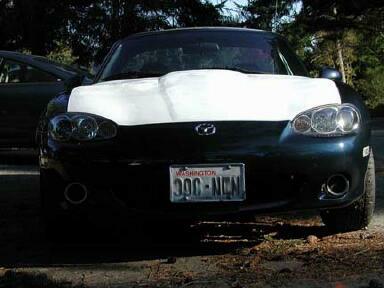 It gives the Miata even more visual attitude and heat exhausting function. Hand laminations with a coremat insert insure high strength and low weight. 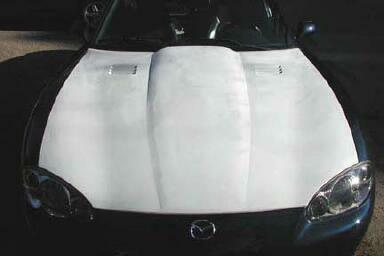 Shipped in primer gel and with all mounting hardware, the hood bolts on to the factory hinges and uses the factory latch. Shipping will be calculated before order is actually placed for customer.